There is money in Facebook. So much that no millennial should ever talk about being jobless in this generation. Take me as your viable example. I earn Ksh. 20,000 daily doing affiliate marketing on Facebook. 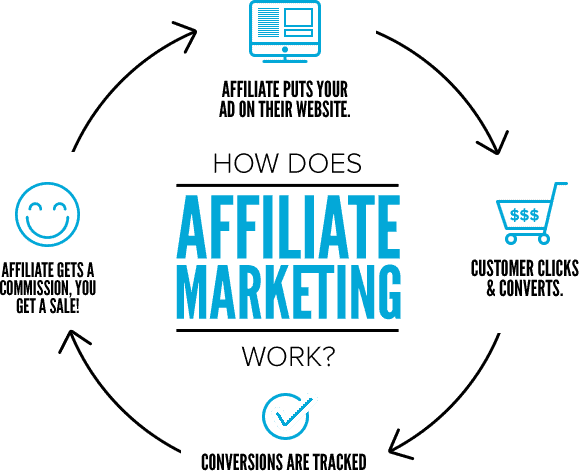 But first, let’s delve into what affiliate marketing is before we can point you to the direction of the best affiliate products to promote and earn decently from. What types of traffic can I leverage? How can I begin promoting affiliate products? This is the process in which an affiliate marketer earns a commission for promoting products by a specific individual or company. You just need to find a product which you enjoy selling, promote that product and earn a piece of profit from any product that you sell successfully. Usually, affiliate sales are tracked via affiliate links – so there is guarantee that you will get paid for all the products which you sell. It’s really important to know how affiliate marketing works before committing to marketing a specific product. This’ regardless of whether you think you have a market for the product or not. Because contrary to your belief that client’s will like what you promote as much as you do; most of them will not. If you meet the advertiser’s requirements of a sale, you get paid. Pay per click or PPC – this one of the most common means of passing an affiliate sale – It is where you (affiliate marketer) get paid paid for all the valid clicks generated from your affiliate links. Your link’s don’t have to trigger any sale or lead to earn by this method. Pay per lead – Here you get paid if an action has been met. Mostly used on surveys. Pay per sale – This is the most common of affiliate performance reward methods. 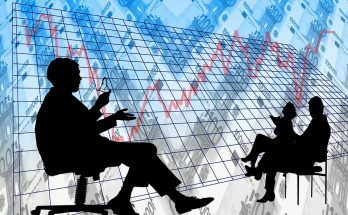 It is where companies pay percentages for all qualifying sales. For the record, I earn a minimum of 50% with Olymp Trade Affiliate and so far it is one of the best affiliates that I work with. Another is Jumia Affiliate. Is there anything special that I do to make my Ksh. 20,000 daily? No! 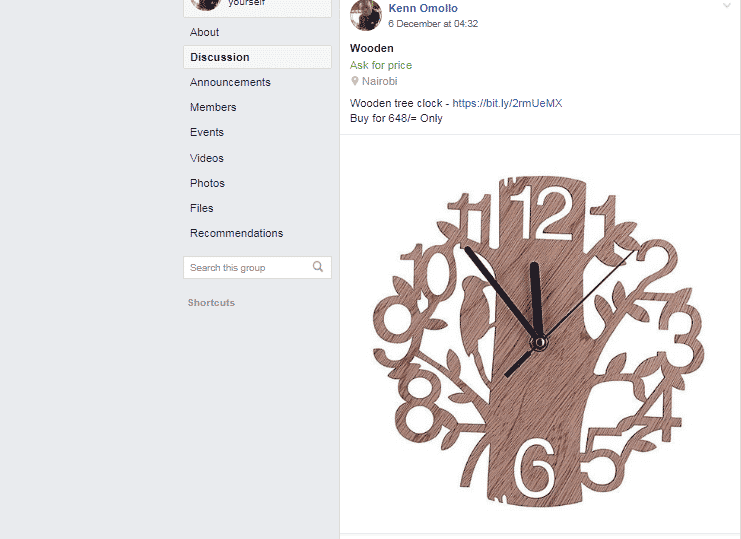 The last time I checked, I posted a product on Facebook with my affiliate link and everyone wanted the product: – I’d be damned if you counted all the likes and leads generated by the post. 3. Why Start Affiliate Marketing as a Full Time Job in 2019? There are so many reasons why I started marketing affiliate products in 2016; they haven’t changed. And I believe some of them are the reasons why you too should start selling affiliate products. I realized that I had 5,000 Facebook friends and millions others in different groups. Interestingly, most of them were all hype about products that were posted by a few entrepreneurial individuals. 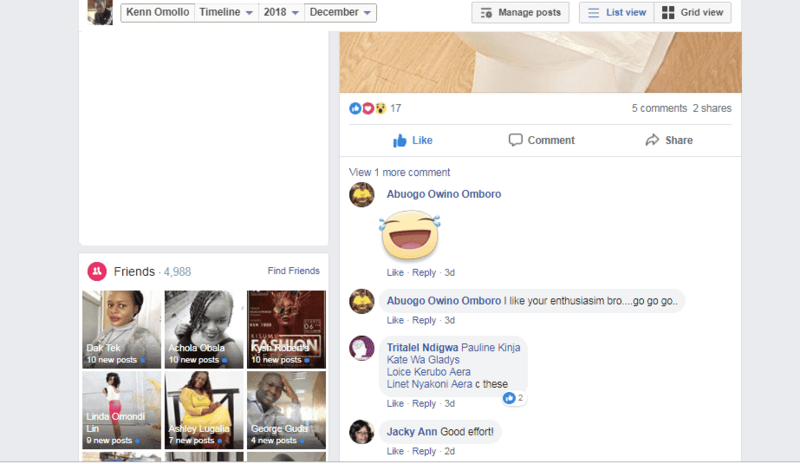 Which got me interested and thinking, if Tony is selling on Facebook and getting conversions, why can’t I also try it out; only I don’t stock products, I promote affiliate programs. The results? I created a business from leveraging my social networks. In case you are interested, Kingfin Affiliate is a good place to begin. It is the best way of monetizing your website and promoting the brands and products you love. Promoting affiliate brands and products gives you the opportunity to help others make the right choices on products because most of us only up-sell products which have worked for us in the past. 5. Because Affiliate Marketing is a job like any other job. Here’s a sneak-peek of what my Facebook readers say about my affiliate marketing passion. Do they seem like a dull bunch of idle people who don’t like what I sell? Do they? What I see is people who didn’t think a product existed and now that I have dug it out, they’ll buy it. Most certainly from one of my many links – on different groups. 6. As an affiliate marketer, you will also be helping people find products which they wished existed. Getting it right mans more money for you. 4. What Types of Traffic Can I Leverage as an Affiliate Marketer? It really doesn’t matter who you sell your affiliate or feed your affiliate links to. As long as it is a lead that converts, there is money for you in the end. Personally, Facebook, twitter and personal websites are my greatest sources of traffic and ultimate wealth. Whatever works for you brother, do it. 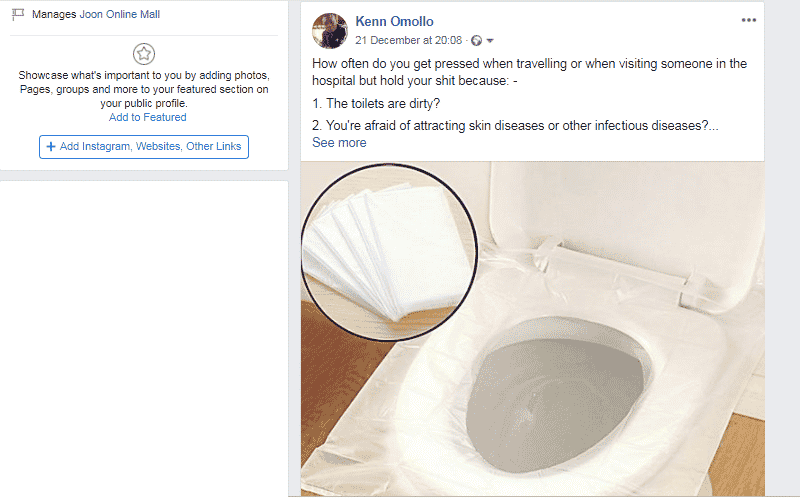 If Facebook works for you, go for it but, if you want to indulge in affiliate marketing for a longer term then the best strategy would be to have a website. At Joon Online we create websites for as low as Ksh. 15,000. Contact us to have yours designed today. 5. How Can I Begin Promoting Affiliate Products? To begin promoting affiliate products and to actually make real money off your efforts, you will need to sign up with affiliate advertisers whose products you resonate with. To begin your affiliate marketing journey follow either of these affiliate links to create your own affiliate. If you already have a website where you’d like to promote the products, checkout this post to see how I blend my affiliate links with my articles. Doing it right increases conversions.